I wish to be pellucid on the onset of this commentary which I believe is extremely important at this juncture. I welcome the oil and exploration companies and inventors to our beloved Guyana. ExxonMobil I believe, as per my commentaries in previous appeals, will make Guyana an example of a unique partnership between ExxonMobil, its affiliates and the citizens of Guyana. However, we as Guyanese need to institute regulations and laws to protect prime properties and lands so that it will remain in the hands of Guyanese. This will give us Guyanese a chance of protecting our assets and developing ourselves. It has been observed that these oil companies have been buying out properties, prime residential lands and lands for office spaces. This free flow of investment by the international corporations and their affiliates will definitely inflate prices for land and properties as it is known that these companies have tremendous financial resources. 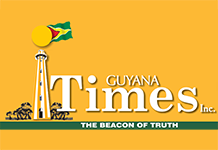 Renting properties from Guyanese will cause us to build to international standards and specifications needed by the investors and oil companies and give Guyanese an opportunity to raise their standards and control the valuable assets of Guyana. I have already seen that prime lands and homesteads are being bought out by foreign corporations. This will definitely deny wealth from being circulated amongst us. Investors and expatriates will always need to export their earnings during and after production. If the Government of Guyana along with the Opposition does not act on this promptly, Guyana will stay in what the late Prime Minister of Jamaica described some of us in the Caribbean as: beggar my neighbour policy. I can’t blame the foreign investors and exploration companies for trying to do it all and take it all if they can. Corporations and businesses operate as persons and they look after their self-interests and the shareholders first. We as the owners of our independent country must ensure we protect our assets and our citizens and get maximum benefits for our country and people. In my opinion, the current and the previous Government have made several errors as if they were sleeping when the contracts were signed and Memorandums of Agreement were initialised. Or they were just not conscious and thoughtful to the realisation of the necessity to safeguard our lands and properties. My appeal to our Government and Opposition is to take the example of Trinidad. Trinidad, according to information, never allowed such companies to purchase properties or lands but they could rent, thereby giving their citizens a chance to invest and to be partners in national wealth creation. My understanding also is that no country in the world allows oil companies to buy-out residential properties or build properties on lands locally purchased. They go into contracts that they find acceptable to build offices and residential properties. We must ensure that valuable lands and properties are secured for our children and our children’s children for generations to come. Otherwise, we will have to rent lands, flats, houses and offices from the foreign investors and we will become nothing and own nothing. Wake up Government of Guyana, current and/or future. Wake up Private Sector Commission of Guyana. Wake up Chambers of Commerce. Our ordinary citizens must do the things that are necessary to direct the Government, Opposition and politicians to listen to us and to protect our assets. In my opinion, it is also a useful and most tangible idea for a political party to make this a part of their national manifesto for future governance. The days are far gone when people will merely vote for race. Guyanese need excellent management and leadership. We the people need to be respected by the politicians. I wish to politely remind the politicians that the people of the country are the bosses of the politicians. They can be fired by the people at any time for poor management of resources and failing to protect our assets for the benefits of the people.